Archeologists have come across what they believe is the oldest wine in China, according to a report in the state-controlled news agency Xinhua. Archeologists have unearthed what they believe is the oldest wine in China, according to a report in the state-controlled news agency Xinhua. While excavating a nobleman's tomb in the northwest Shaanxi province, the archeologists found a sealed bronze wine vessel. When they shook it they heard a liquid, but they have yet to identify it. The tomb is believed to be from the West Zhou Dynasty, which the report said dates back to between 1046 BC and 771 BC. 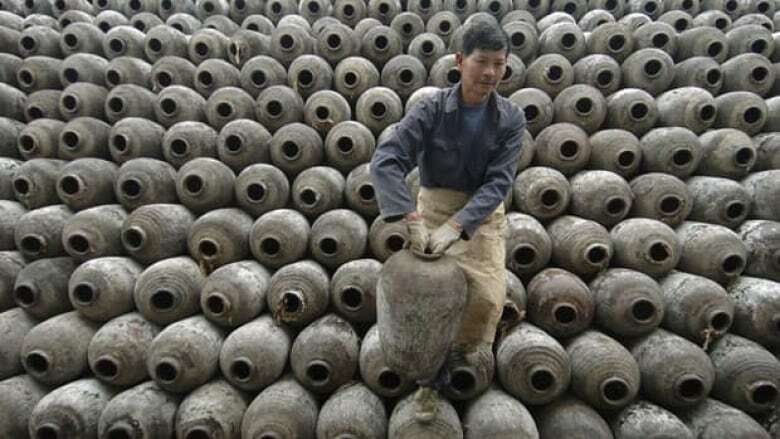 Liu Jun, who is in charge of the dig, told the news agency he believes the liquid is likely the oldest wine to be unearthed in the country to date. Liu said the team also uncovered a "prohibition device" that served as a reminder to drink in moderation, was unearthed at the dig. Wine had become a symbol of corruption, Liu said, because officials in the preceding Shang Dynasty were known to drink excessively. The ancient alcohol isn't the first to be discovered in China. American scientists have found traces of booze made from rice, honey and fruit in Chinese pottery jars that may date back 9,000 years, according to a 2004 BBC report. Elsewhere, researchers claimed last year they had found a wine press in an Armenian cave dating back six millennia. In Iran, there is evidence that suggests brewing beer and making wine go back at least 7,400 years.